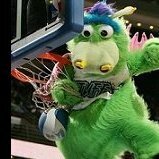 Raptors @ Magic Tuesday, March 20, 2018 @ 7:00 P.M. - Page 3 - Orlando Magic Forum - TrueBlueNation.com - The Official Orlando Magic Fan Community! I think you sent me a PM but you didn't mean to do it. Did the clocks in the us change this weekend?